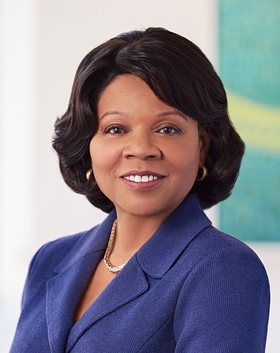 Patricia Maryland is president and CEO of Ascension Healthcare and executive vice president of Ascension. This is a busy time for healthcare providers. In the midst of one of the worst flu seasons in years, Americans are focusing on their health and taking advantage of their health insurance coverage. Whether they are among the 8.8 million people who signed up for coverage through the Affordable Care Act health insurance marketplace or are covered under an employer-sponsored plan, one thing is clear: Millions of Americans have the means to take charge of their health this year, and that's a step in the right direction. Health insurance coupled with quality, affordable care, should be vital components of our national healthcare policy. But access is only one part of a complex equation that we—healthcare providers, civic leaders, employers, lawmakers and consumers—must solve to help people and communities be healthier. In fact, a recent report from the Institute for Clinical Systems Improvement found that healthcare—including a person's access to care and the quality of the care itself—accounts for a mere 20% of an individual's overall health. What influences the other 80%? Barriers and bridges to better health are found in the communities where people live, work, pray and play. This is where a person's level of health is closely linked to their basic needs—whether it's adequate public transportation to the doctor's office or a nearby grocery store that is stocked with affordable, nutritious food. For example, you can't properly treat an individual for a stress-related heart condition when that person doesn't feel safe in their home or neighborhood. The outsize influence of such nonmedical factors on a person's health should serve as a wake-up call for those who have an interest in making our communities healthier, especially among the systems that largely influence our nation's healthcare. We can expand our focus to include the challenges that extend beyond the walls of our hospitals and other care facilities by understanding that providers are just one part of a community's health landscape. Further, we can help more people attain their highest level of health by considering the context of an individual's life—such as the state of their physical environment, level of education or relationships with family. This holistic approach is especially needed to better serve people who are struggling—those who are living in poverty or who have historically had trouble accessing our healthcare system. As the nation's largest not-for-profit healthcare system, we at Ascension know we have a responsibility to help those who have been left behind. The prevention of healthcare inequities plays an integral role in this new paradigm. What this means is that now, more than ever, equity and inclusion must be embedded in everything we do—as a system and as an industry. Like most organizations, setting ambitious, aggressive goals is a key way that we focus our attention and hold ourselves accountable for our progress. This is why Ascension codified its aim to eliminate preventable healthcare disparities—variations in care due to factors such as poverty, race, ethnicity and language—by 2022. Heart failure care is one area where we are laser-focused on erasing inequities. It's well-documented that a person's socio-economic status bears a strong correlation to whether or not they are readmitted to a hospital after their initial treatment. By leveraging our system's big data with a person-centered care model, we are working to anticipate the conditions and behaviors that cause readmission, so that we can do the right thing the first time for the patient. Although health often is restored in a doctor's office or hospital, it is created in a culture where social, economic and environmental factors, as well as human behaviors, shape a community's health landscape. Being "system-centric" is not sufficient anymore when it comes to improving America's health. We must go beyond the doctor's office or the hospital campus into the communities we call home and the neighborhoods where our patients live, to understand how we can partner with people to truly improve the health and well-being of all.